Wide-bore MRI scanner delivers patient comfort without compromising quality or capabilities. The GE Optima MR450w is a full body MRI system that combines the benefits of the 70 cm patient bore with a highly homogenous superconducting magnet and a comprehensive suite of GE software applications. The result is a workhorse system for practices of all sizes and specialties. With the GE Optima MR450w, clinicians can reach new levels of productivity, scanning a broader patient population on a more predictable schedule. 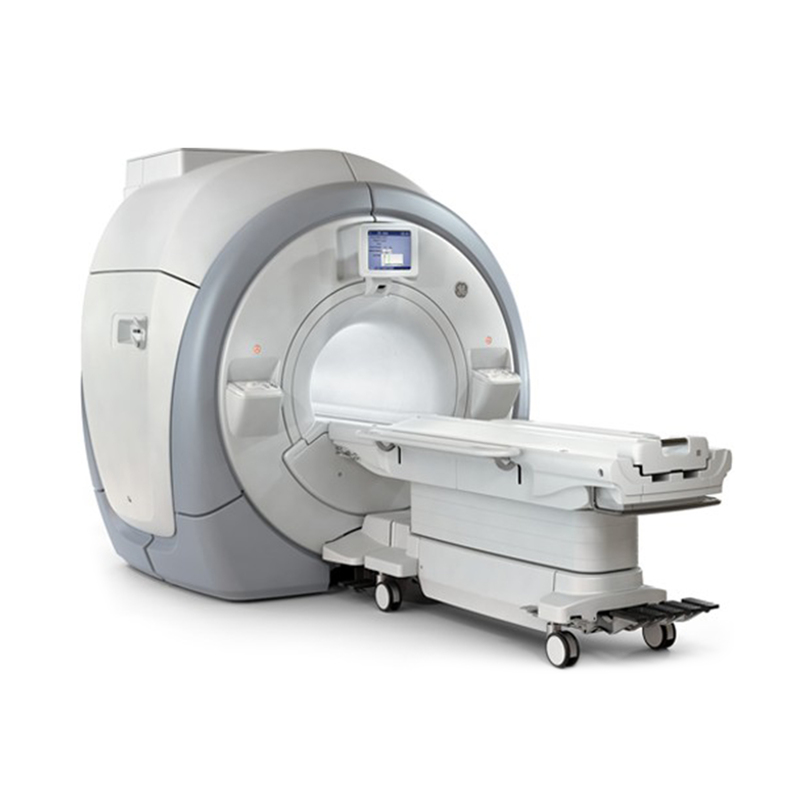 The GE Optima MR450w 1.5T MRI System is available refurbished from Avante Health Solutions. For more information, contact an Avante representative today. Full-body MRI scanner with wide, 70 cm patient bore. Advanced functionality gives clinicians diagnostic confidence to make definitive diagnoses. Easy-to-use, intuitive features are designed for both patients and technologists. Field of view measures 50 cm, allowing clinicians to cover more anatomy in fewer scans. OpTix RF provides signal digitization, increasing signal clarity and maximizing signal intensity for cleaner, clearer images. High-fidelity gradients help to facilitate outstanding performance in demanding applications including fMRI, cardiac, diffusion, and FIESTA. Strong whole-body gradients deliver 34 mT/m amplitude and 150 T/m/s slew rate on each axis, yielding scans that are fast, accurate, and highly reproducible. Acoustic Reduction Technology (ART) reduces acoustic noise for brain, spine, and MSK exams without compromising image quality. Magnet measures 145 cm long, is designed to ensure uniform tissue contrast. Express detachable table is easily docked and undocked by a single technologist, helps to improve workflow and efficiency by minimizing time between scans. Table can support patients up to 500 pounds. In-room operator console is mounted conveniently in front of the magnet. Touchscreen operator console integrates patient setup information and operator controls in one convenient place. View patient, system and scan information, control and select parameters, change scanner configurations, and initiate scans in real time.